How many times have you dreamt of having the ‘Shaandaar’ wedding away from the mundane receptions in the banquet and the irritating guests popping every now and then? Be it the exotic beaches of Goa, the enchanting mountains of Mussoorie, or a royal palace in Udaipur; Destinations weddings have always been romantic. Tying you're not in the midst of grace is an icing on the cake. Surprisingly enough, still many perceive destination weddings an irksome and expensive business, something exclusively for the rich. Contrary to such preconceived notions, destination weddings are much more cost-effective than our big fat Indian wedding. Pampering your ‘lovely guests’ won’t be much of a bothering in the beaches and mountains! 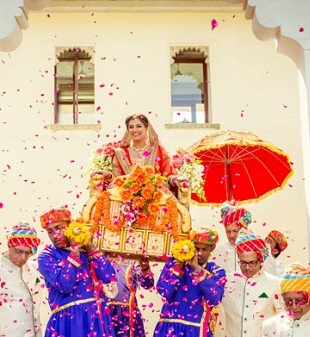 An Indian wedding without melodrama is quite hard to imagine. There is got to be someone in the family to create a nuisance about the ‘groom’s Sherwani’ or the ‘bride’s make-up’. Perhaps setting a vacation for these chaps would be a better option! 3. No More Questionnaires From Aunties!!! 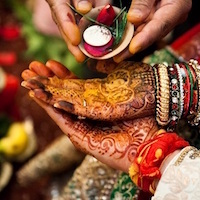 The most irritating of all the features of Indian Wedding is our very own uncles and aunties. They are the ones who will miss no opportunity to take a jibe at us. 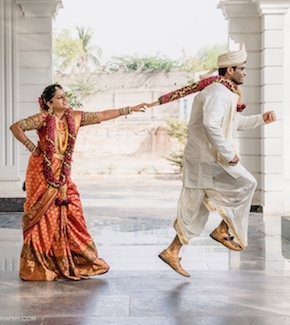 Destination weddings literally offer you to fly away from such annoying guests. How about letting someone else (maybe a wedding manager) take care about the trifles while you plan some exciting gifts and surprises for your fiancé at Wedamor! Exactly what such destination weddings offer. Watch the classic ‘Father of the bride’ and you will find out. To me, perhaps one of the biggest advantages of such weddings is that not many will turn up! This means you enjoy quality time with people who matter the most. There’s nothing superficial. Imagine indulging in a glass of wine by a mountain and reliving the youthful experience with your school friends! 6. You are the one to call the shots! How about wedding at the same spot where he handed you the rose or the trip where you fell in love. Yes, locations are significant specially when you have memories to back it up. So why not take it upon yourself to choose the destination? Anything from the tranquil stretches of backwaters and houseboats in Kerala to the City Palace of Udaipur! Adorable isn’t it? Wedding at a completely new place means networking with the locals out there. 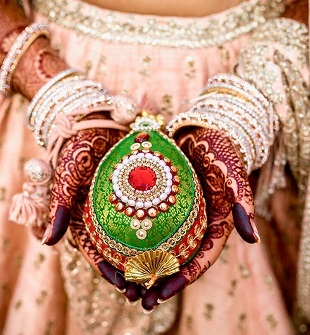 Meeting new people, understanding their culture and even including pieces of their culture to your own wedding plan! Sounds exciting? I bet. Once the guests leave, you won’t perhaps mind a few extra days in there exclusively with your beloved. An early honeymoon sounds pretty exotic, eh? What is more, honeymoon costs will be minimized. 9. An experience of a lifetime! Can there be anything better than your close ones celebrating you and your love? Believe it or not, it remains a one of the wonderful experience to travel with all your loved ones, treat friends and family alike, enjoy unforgettable memories and back it up with some amazing clicks. So, this is your chance. Forget the traditional marriage and choose your favorite destination to celebrate the most cherished festival of your lifetime in the most enriching way. And oh yes, don’t forget to look up at Wedamor to make your wedding planned and organized better and turn it into a magical occasion. That’s it from my side, folks. Do hook on to Wedamor for some amazing articles on wedding coming your way soon.